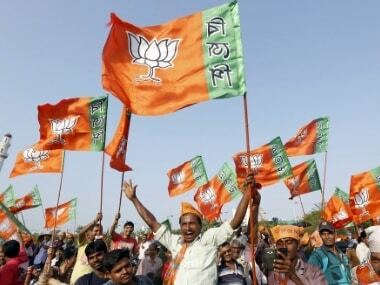 Lucknow: The ruling BJP may soon have more reasons to smile in Uttar Pradesh as it is all set to increase its tally in the biennial elections for the Rajya Sabha scheduled in April and in the UP Legislative Council where 13 seats are falling vacant. In the 245-member Upper House of Parliament, Uttar Pradesh has 31 seats being the most populous state of the country. Nine Rajya Sabha seats are due to fall vacant in Uttar Pradesh in April. The seats are held by Naresh Agarwal, Jaya Bachchan, Kiranmay Nanda, Chaudhary Munwar Saleem, Alok Tiwari and Darshan Singh Yadav (all SP), Munquad Ali (BSP), Pramod Tiwari (Congress) and Vinay Katiyar (BJP).Their term ends on 2 April. With the BJP and its allies storming to power in the state in the 2017 Assembly elections, the saffron party is set to wrest a lions share of these seats in the Council of State, as the Rajya Sabha is known. In the 403-member Assembly, the BJP and its allies have 325 seats, followed by the Samajwadi Party - 47 MLAs, the BSP 19, the Congress 7 and the RLD only one. During the previous biennial elections to the Rajya Sabha two years back, the SP managed to win six seats by dint of its strength in the state Assembly, whose members are voters in the indirect poling. But this time round, the saffron surge during the Assembly polls will leave a mark in the Rajya Sabha elections, and the party is all set to bag a majority of the seats going by its strength, said UP minister Brijesh Pathak. 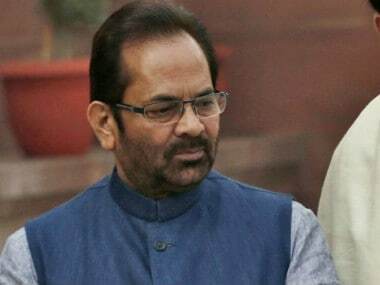 He told PTI, "BJP will bag lion's share of seats in both the biennial polls Rajya Sabha and UP Legislative Council. "Ally Apna Dal (Sonelal) leader Arvind Sharma said, "Once UP sends new representatives to the Rajya Sabha, the BJP-led NDA government will be in a better position in the Upper House of Parliament, where key bills get stuck in the absence of majority." It is still too early to say whether the opposition parties will put up a joint candidate so as not to fritter away their votes. BSP supremo Mayawati does not appear to be in a mood to strike any quick pre-poll deal and her party went it alone in the recent elections in the state, the latest being the civic polls. in the civic body elections. Likewise, 13 seats will fall vacant in the UP Legislative Council. Among the MLCs whose terms are coming to an end on 5 May are Akhilesh Yadav, former UP chief minister and national president of SP, Umar Ali Khan, Naresh Chandra Uttam, Madhu Gupta, Rajendra Chaudhary, Ramsakal Gurjar and Dr Vijay Yadav. MLCs from other parties whose term ends on 5 May are Dr Vijay Pratap and Sunil Kumar Chittor (both BSP), Dr Mahendra Kumar Singh and Mohsin Raza (both BJP) and Chaudhary Mushtaq, the lone RLD member. Another seat, which has been vacated by former SP minister Ambika Chaudhary will also go to poll. Both Singh and Raza are ministers in the Yogi Adityanath government. Dr Mahendra Singh is minister of state (independent charge) Rural Development and Overall Village Development, while Mohsin Raza is minister of state Science and Technology, Electronics, Information Technology, Muslim Waqf and Haj. 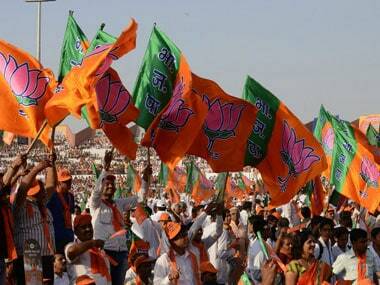 In the 100-member Council, the BJP has just 13 members. 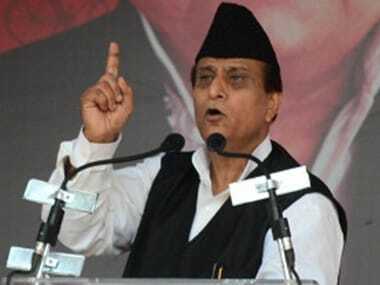 The Samajwadi Party has 61 members, the BSP nine, the Congress two, the RLD one and 'others' 12. Two seats are vacant. Though the BJP is poised to wrest a majority of the seats falling vacant, it still might not give the party the required strength in the Legislative Council to push bills and get them passed. During the Winter session of the state legislature, the UPCOC Bill hit a roadblock in the Legislative Council, where a determined Opposition stalled its passage, following which the Chairman referred it to a House panel for scrutiny, much to the embarrassment of the government. After a brief but animated discussion on the Uttar Pradesh Control of Organised Crimes (UPCOC) Bill, 2017, drafted on the lines of the stringent Maharashtra Control of Organised Crime Act (MCOCA), it was put to vote. Sensing the sentiments of members, Chairman Ramesh Yadav referred the bill to the Select Committee of the Legislative Council for scrutiny. Buoyed by their strength in the Upper House, opposition members slammed the proposed legislation, which was passed by voice vote in the state Assembly a day earlier, saying its provisions were draconian and feared it could be used to settle political scores by the party in power. 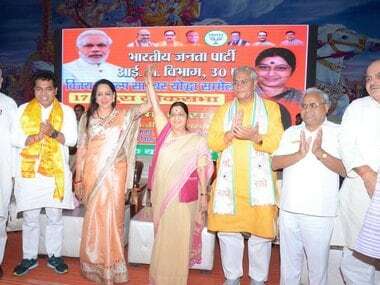 Exuding confidence that the BJP will improve its tally in the upcoming biennial elections, Mohsin Raza today told PTI,"We will definitely improve our strength not only in the UP Vidhan Parishad (Legislative Council), but also in the Rajya Sabha.